Kian Ghazi, founder of Hawkshaw Capital Management, is scheduled to make a presentation at the Value Investing Congress West taking place on May 3 and 4 in Pasadena, California. According to the Value Investing Congress website, Mr. Ghazi employs a “concentrated, value-driven, research-intensive approach” underscoring the firm’s emphasis on deep-dive investigative research. • Company moving toward providing more fresh foods, which have much higher margins. This should more than supplant potentially declining cigarette sales. Core-Mark closed at 29.62 on October 22, 2009, the day of the presentation, and currently trades around $34.05 with a fifty-two week high of $37.19 over the past year. Based on Hawkshaw’s latest 13F, discussed below, Core-Mark is not currently part of the portfolio. As an interesting aside, Core-Mark’s larger competitor is none other than McLane, the Berkshire Hathaway subsidiary. While we are not familiar with Core-Mark, we can underscore the fact that this type of business is very low margin. 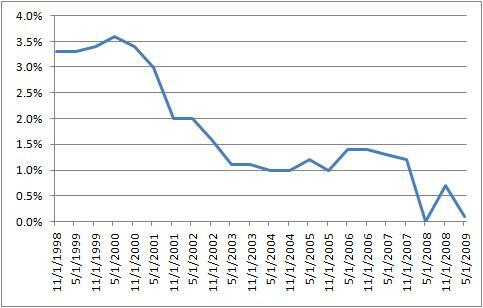 McLane typically has net margins near the 1 percent level. A Morningstar analysis of Core-Mark published last year claims that Core-Mark may have important advantages over McLane particularly in the distribution of fresh foods. We cover McLane’s activities as part of our recently released report on Berkshire Hathaway: In Search of the Buffett Premium. 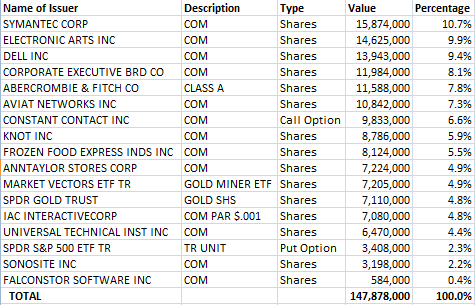 According to Hawkshaw’s latest 13F filing, listing positions owned as of December 31, 2010, Mr. Ghazi runs a concentrated portfolio with the top ten holdings accounting for 76.3 percent of the $147.9 million portfolio. 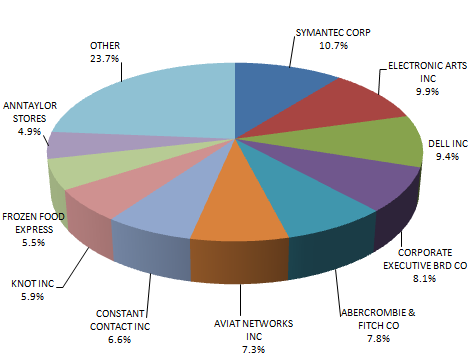 Top positions include Symantec, Electronic Arts, Dell, Corporate Executive Board, and Abercrombie & Fitch. The portfolio also includes a put option on the S&P 500 index, accounting for 2.3 percent of the portfolio and probably intended to hedge the portfolio positions against a general decline in the market. Readers of The Rational Walk are eligible for a $1,400 discount for the Value Investing Congress in Pasadena on May 3 and 4. To qualify for the discount, please use the following link and be sure to specify Discount Code W11RW7 upon check out. The discount expires on March 15, 2011 at which time the price to register will go up by $900. Disclosure: The Rational Walk receives a referral fee for registrations generated through the link.